This is the 10th year anniversary for the Comfort Crew, so you know this year’s annual golf tournament and party will not disappoint. Mark your calendars for November 12-13, 2017 because we want you to come celebrate with us. To REGISTER or learn more, visit BOOTS & BIRDIES CHARITY CLASSIC! 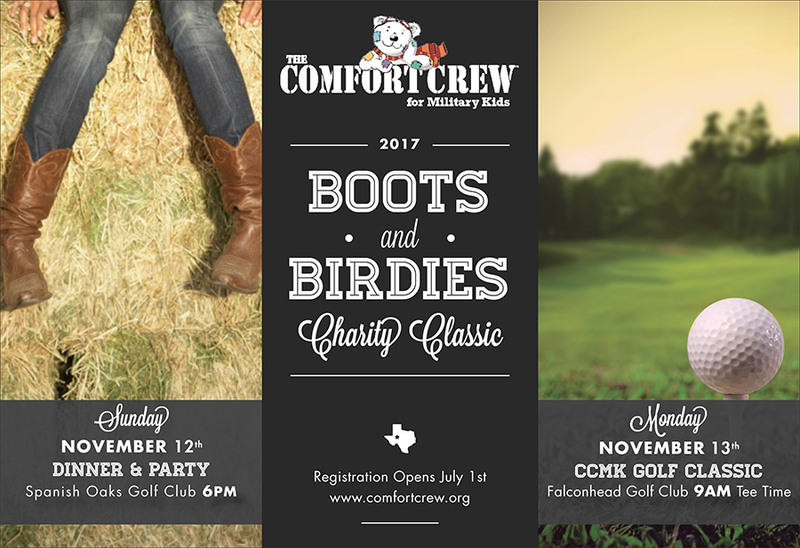 The 10 Year Anniversary Boots and Birdies Charity Classic Party will start at 6:00pm on November 12th, 2017 at Spanish Oaks Golf Club. Come join us for a tasty BBQ dinner and drinks, fun games, silent auction, military family fashion show, and concert by country music singer/songwriter Matt Stillwell. Golfers who register for the tournament will recieve two tickets to the party. Individual party tickets will be available for purchase starting July 1, 2017. This year’s golf tournament is back at Falconhead Golf Course on Monday, November 13, 2017. Participants will tee off at 9am and play a scramble format. Expect great food, tee prizes, and awards as we celebrate our 10 year anniversary! Join us at Spanish Oaks for dinner, live music, and fun! Tee off at noon for a great day of golf at Falconhead Golf Course.  The Comfort Crew is a 501 (c)(3) non-profit organization. We are also supported by the Combined Federal Campaign (CFC#46891).